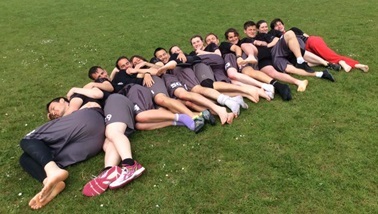 Cambridge 1 began MT1 seeded 15th based on results from our run at mixed tour last year. We ended Saturday in 8th place after coming second in our pool with a strong win over Glasgow, a universe point win vs. Manchester and two universe point losses vs. Thundering Herd and Shiny Happy Meeple. The team lost three games on Sunday against JR, Smog and Herd (again) to finish the tournament in 8th place. Cambridge 2 were originally seeded 46th. They also came second in their pool, winning vs. Black Sheep 2, Chesham Kites and Lemmings, and losing to a strong Birmingham 2 team. 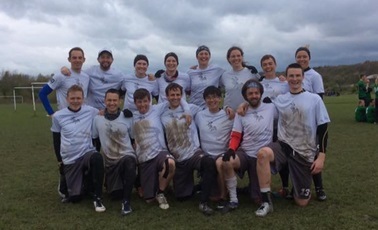 Sunday saw them take wins vs. Sneeekys and Skunks, before losing to The Brown to finish the weekend in 42nd place. Cambridge 1 began MT2 seeded in 6th place. We spent Saturday losing two pool games to JR and Brighton Breezy, as well as beating Reading (who eventually placed higher than us anyway). These results lead us to a 6th place start to Sunday. After losing our crossover against HEX, we went on to another tough loss versus Thundering Herd, before winning our final match against Glasgow to finish the weekend in 11th place. Cambridge 2 were seeded 38th coming into the Salford tour. They lost Saturday pool games against Sheffield Steal, Lemmings and Black Sheep 2, with the latter two decided in universe point. This unfortunately left them with only two games on Sunday. They went on to convincingly beat Black Sheep 3 in a 45 v 48 game before beating Guildford 2 for a final finishing position of 45th. Cambridge 1 were seeded in 9th place for MT3. 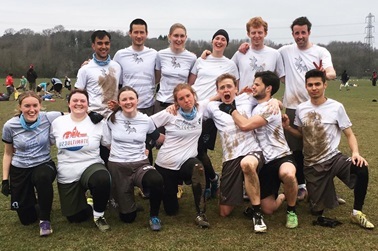 We started the weekend with a really disappointing loss to ABH Alpha, before beating Birmingham and grinding out a universe point win against Glasgow – a strong enough effort to allow us to top the pool thanks to Brum and Glasgow both beating ABH. Then things got exciting, as we had a rematch of our MT2 Sunday morning game against HEX. We nailed it this time, winning the game and climbing back up into the top 8. We rounded out the weekend with losses against Reading and Schweffes to once again finish 8th. 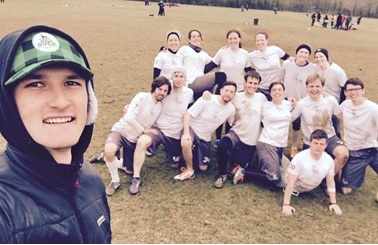 Cambridge 2 started the weekend in 42nd seed with everything to play for. They stomped their way through pool games against The Brown, Reading Knights and Pic N Mix, with the closest result still 8 points in their favour. A universe point loss against Lemmings knocked them into a lower bracket. 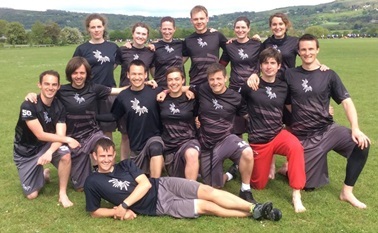 They went on to lose against St Albans before beating ABH Beta by an 11-point margin to take 35th place overall at the tournament. Cambridge 1 finished the 2016 tour season in 7th place overall, scoring 501 points across three events. Cambridge 2 ended their campaign in 41st place, with 76 points scored. 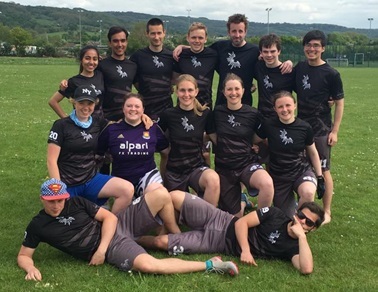 Following on from our great overall finishing position at tour, Cambridge 1 attended UKU Nationals in Southampton on the weekend of August 20th/21st. In pool play we lost to Black Eagles by a few points and to JR in universe point, but beat Thundering Herd for the first time this season. On Sunday morning we faced Smog in the 5 v 8, a game that we lost in universe point after going down by around five points in the early stages. This left us in a rematch against Thundering Herd, who we resoundingly beat to take 7th place. Spirit is something that I think we can and should always be working on, both as individuals and as a club. The spirit results the mixed teams achieved this year are something that I’m proud to be able to share with you all. Cambridge 1 were given an average spirit score of 11.02 across all three tour events – which I’ve been told was the second highest across all teams entered. Go team! We also scored 11.00 at Nationals, the third highest spirit score in the mixed division. Cambridge 2 received an average spirit score of 10.20 across the three events, which is also a very respectable score. Great work guys. In related happy news, three Cambridge Mixed players were nominated as Most Spirited Player by their respective DUFFA Hat teams this summer. Rockin’ it. Our two teams at each tour were put together from the mixed squad of around 35 players. 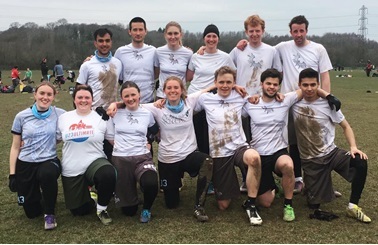 Cambridge 1 fielded a reliable team of players between the three tours, allowing us to consolidate on the storming top 8 result from MT1 throughout the season. However the squad set-up wasn’t as successful as we’d first hoped in building two strong, consistent teams due to dropouts and late availability changes reducing our core player base. This had a particularly negative affect on Cambridge 2, and was especially noticeable at MT2. Having said that, at full strength they were clearly a strong second team as shown by their MT3 result, which they achieved by beating a number of first teams. I’d like to use this as an opportunity to particularly thank those players who stepped up to captain Cambridge 2 this year. We’ve set ourselves up this year with a great springboard from which to work, achieving some high quality results against top teams, which are testament to the amount of skill we have amongst our players. I’m proud of how the teams have come together through the year both on the pitch and off it, with both teams achieving their highest finishing positions at MT3. Holding seed at Nationals against a strong array of teams was a great achievement. As we move on into the 2017 season I’m eager to use the information gathered and experience gained from the 2016 season to allow us to provide a better playing experience for more members of the club.